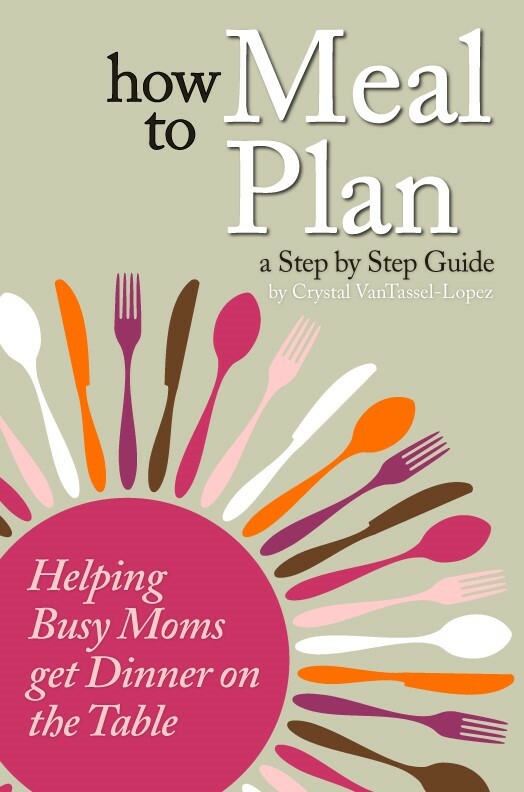 You know how passionate I am about meal planning, right? Have you ever thought about committing to one night a week and making it a meatless meal? I have seen many families do #MeatlessMondayNight. Sounds fun, right? I promise you can do this while not compromising any protein and still creating a crowd pleasing dinner for your family. And of course you can totally incorporate the slow cooker. Hello! Slow cooker is my middle name. Let me share with you this easy chowder recipe that I really believe your family will love. Perfect for this crisp fall weather, and even winter which is right around the corner. Toss the potatoes, corn, garlic onion, bell pepper, carrot, thyme, oregano, salt and pepper into the slow cooker crock. I used my 6 qt. Pour the chicken broth in. Stir well. Pop a lid on it and cook for 6-8 hours on high. The longer you cook it, the more the potatoes will dissolve. We cooked it for closer to 8-10 hours. Once it is done, stir in the Silk Almond Milk. We used the original flavor. This is going to serve in the place of heavy cream. The almond milk is a great plant-based addition to this scrumptious soup. Next time you make a soup and it calls for heavy cream or milk, try subbing it out with almond milk. Add 1-2 cups of the almond milk depending on how creamy you want it. Serve this with buttered bread. Perfect for a cool evening. 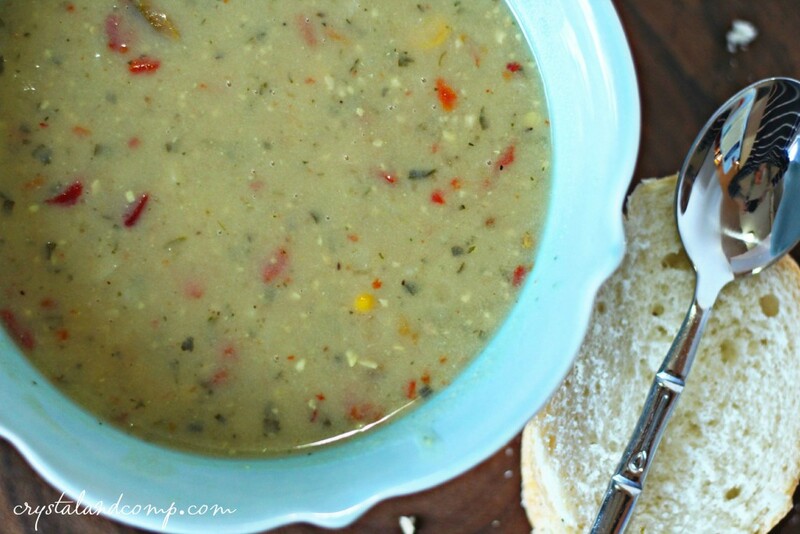 Have you ever made soup or chowder in the slow cooker? It makes life so easy! Looking for Silk Almond milk? Here is a nifty store locator! There is also a coupon you can download when you go here! Sshhh, don’t tell! Made the Potato Corn chowder for tonight’s dinner and it was delicious! Paired it with slices of bread from the local bakery and a simple fruit salad. That sounds so good. I agree with you on meal planning. It’s a huge time and money saver. I love this is made in a crockpot. Is there something I can use instead of garlic or onions? I ask as these are to items the doctors have eliminated from my boyfriends diet. Two ingrediants I use alot in my cooking. Yum! That chowder looks amazing! I really need to get better about my meal planning because I always get to 4pm and start saying what’s for dinner. Sounds like a great meal. We do a few meatless meals a week too. I like changing it up . That does sound delicious! I can’t wait to try it. I’m a slow cooker girl too, so this is perfect for me! Megan Elford recently posted..Family First with Wendy’s! Oh my beloved crock pot will be busy this weekend. This potato corn chowder looks just heavenly! Thank you for sharing the recipe. Oh yum! I love a good chowder, especially in the crock pot! Thanks for sharing what will definitely be a household favorite! Erin recently posted..How About a Quick and Easy Lo Mein Recipe? That looks yummy. I just made potato chowder last night. Next time I will add corn. I LOVE chowder this time of year. It’s always so nice to curl up with a warm bowl of soup when it’s chilly outside. Even better when it’s a crockpot recipe to make life easy! I love my slow cooker. I have made potato soup, but never with corn. Interesting. Sounds good for a meat free option. First of all I love anything I can make in my slow cooker. This soup looks and sounds so perfect for fall. And I love cornbread. 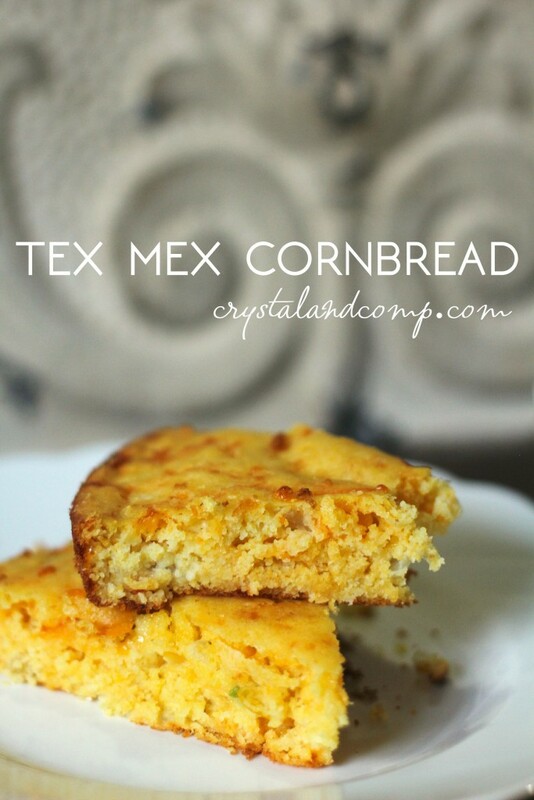 This is something my family would enjoy so thank you for sharing the recipe. I have most of the ingredients so I will have to make this tonight or tomorrow. I love using my slow cooker, but I haven’t tried making chowder yet. It’s starting to get chilly here so that would be perfect. Yum! Oooo now this chowder sounds absolutely delicious!!! Nothing better than a warm soup on a chilly fall day! This is the ultimate fall comfort food! I need to give this one a try! I love all of the elements of this soup, especially the corn and potatoes. Ooo – and I love that almond milk is a part of a recipe. 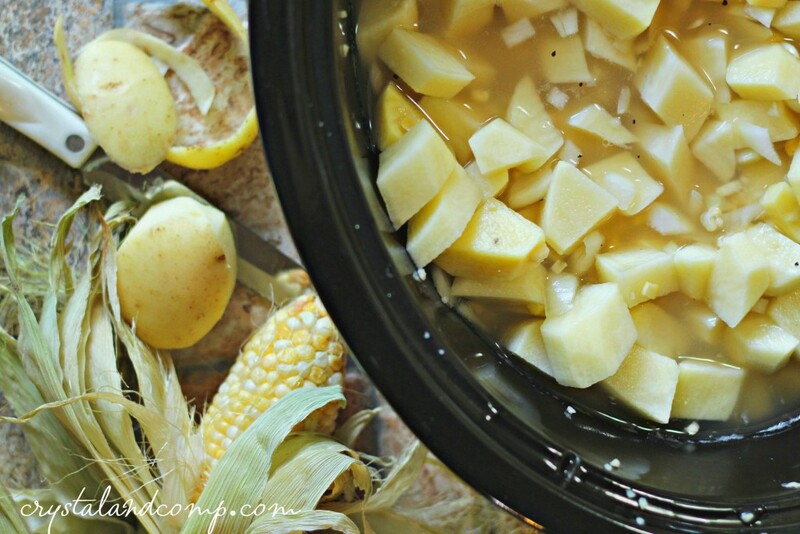 I’ve never had corn chowder but I love cooking in my crock pot. I’m always looking for something new to make. That looks so good. I love breaking out the slow cooker to make something throughout the day. This looks delicious and perfect for a busy weeknight~ I will definitely be making this and love that it is with almond milk! 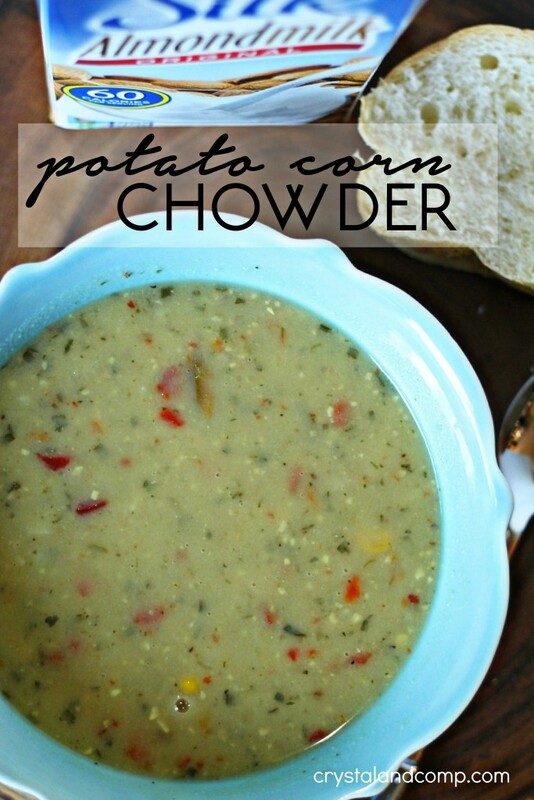 I love using my crockpot, and this chowder looks delicious! 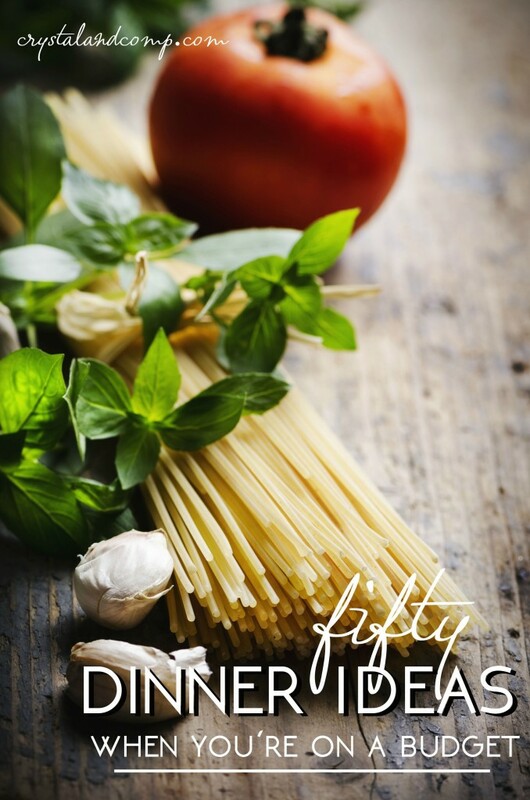 I am going to have to add the ingredient to my grocery list for this week so I can make some. I didn’t know about using almond milk instead of heavy cream. I’ve have a soup recipe that I love but quit making because it calls for heavy cream and we are trying to lose some weight. Now I can make both ?